Unique design specifically at The Abstract Home. A simple example of flair and style - perfect for home or office. 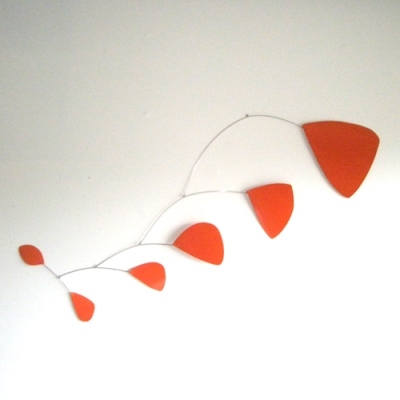 Made of painted steel leaves and stainless steel rod. Mobile hangs 18" tall and a full 36" wide. Available in other color options. Email us with any questions at info@theabstracthome.com.